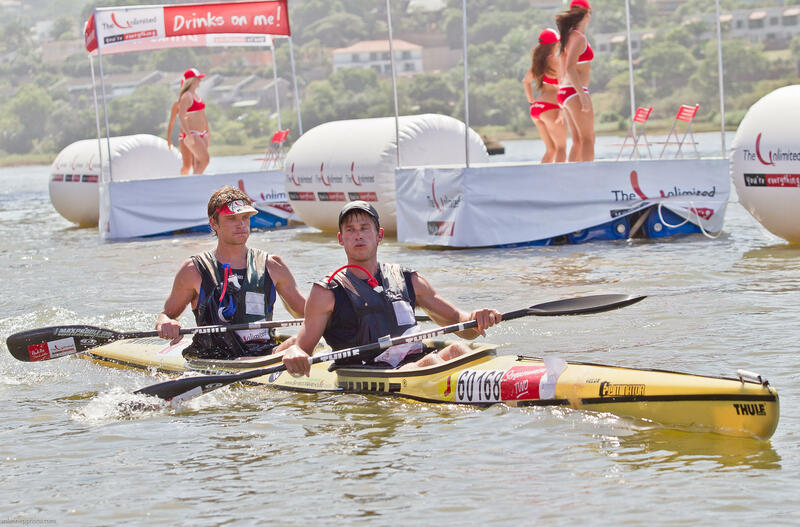 As well as their extensive range of K1 boats Kayak Centre also produce some of the world’s most successful downriver K2 boats with race results to prove it. At first glance the fittings and finishes of their boats are more simple than the European built boats but when put to use you will find the boats lack nothing in performance and functionality. There are boats to cater for beginners, intermediate, elite, recreational, masters and children. Each model is available in 6 river constructions. Weight of the boat will vary according to the shape, size and construction. K2 Foxbat- A great South African staple, tried and tested. 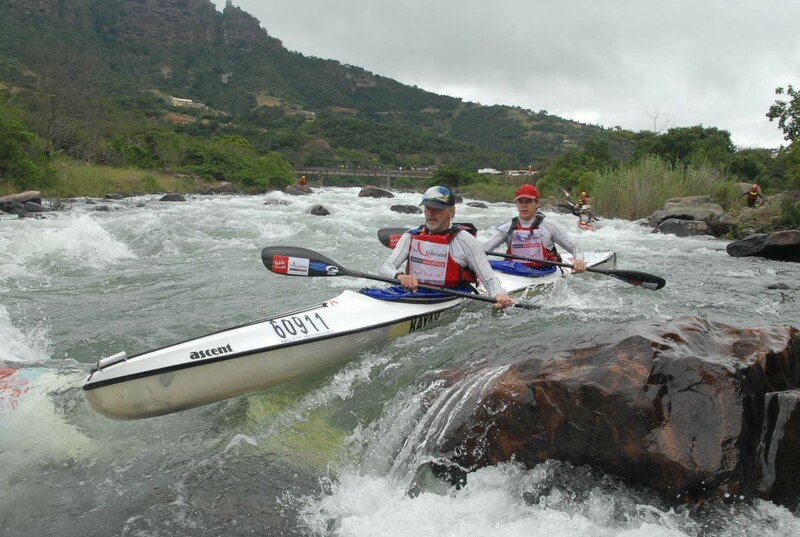 The Kayak Centre Foxbat is a hugely popular general purpose river double that has stood the test of time and is the boat of choice for hundreds of intermediate crews. K2 Ascent- A great entry level K2 for the bigger crews. Stable and tough enough to take a pounding, it won’t let you down! K2 Velox Ascent- A great entry level K2 and a well-loved intermediate staple. Stable and tough enough to take a pounding, and won’t let you down! Based on the old Ascent, the shape was trimmed down in the front third in order to make it more streamlined, and to allow the front paddler to get their paddle in closer to the boat. K2 Velox Ascent SL- Designed for the beginner to intermediate paddler. A slimmed down version of the Velox Ascent with a substantial reduction in overall volume making it more suitable to a smaller, lightweight crew. K2 Velox Eliminator- This design was tailor-made for bigger rivers where extra stability and handling are crucial factors. Based on the success of the Xterminator with wider gunnel lines at the back cockpit to add better river handling and secondary stability without a significant loss of speed. K2 Velox Invader- Designed to bridge the gap between the modern “Slimline” designed K2’s and the older wedged boats. This is an ideal boat for the crew that wants to be competitive without sacrificing stability. Retaining the wedge shape, although narrower then previously required, gives the Velox Invader excellent secondary stability. With modern thinking of volume placement in the hull resulting in a very good cruising speed the Velox Invader performs well in River and Flatwater races. Good for crews weighing between 120-200kg. K2 Renegade – This is an ideal river racer for crews with a combined weight of up to 180kg. It is however not well suited to crews where a significantly lighter paddler is sitting in the back cockpit! 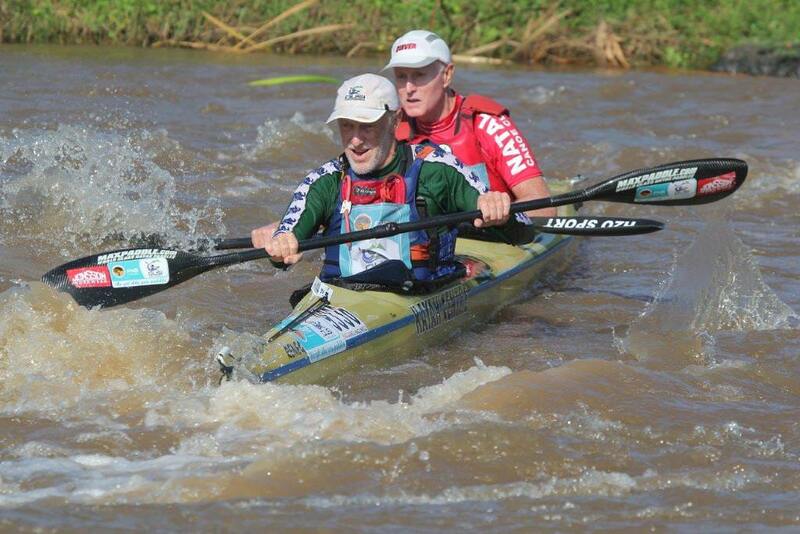 Raced to multiple victories on the Umkomaas by Hank McGregor and Grant van der Walt. 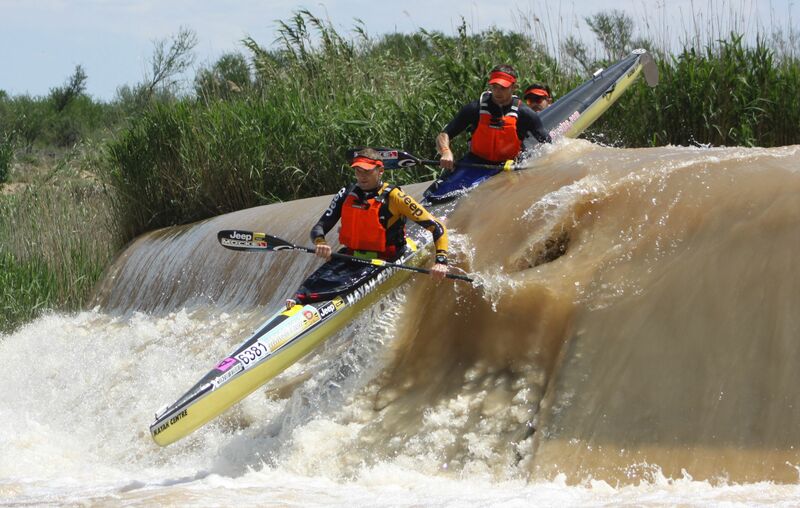 K2 Velox Xterminator – This is the ultimate river racing K2! 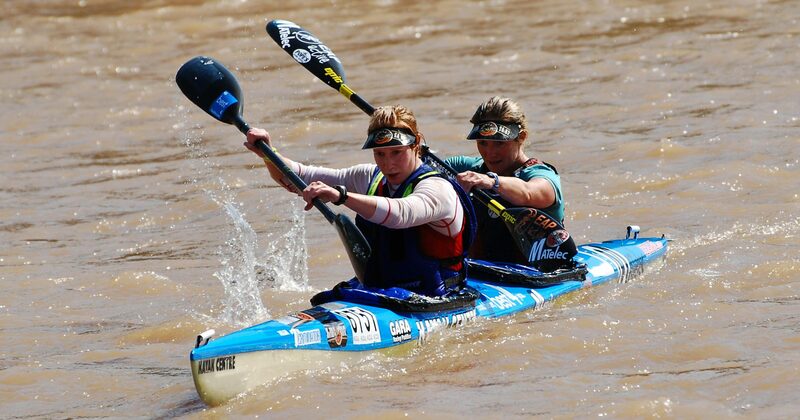 It is surprisingly comfortable and very quick, with excellent river handling abilities. This K2 was designed for the elite paddler with the expert input of multiple world champion Hank McGregor, using the precision of computer-aided-design technology.